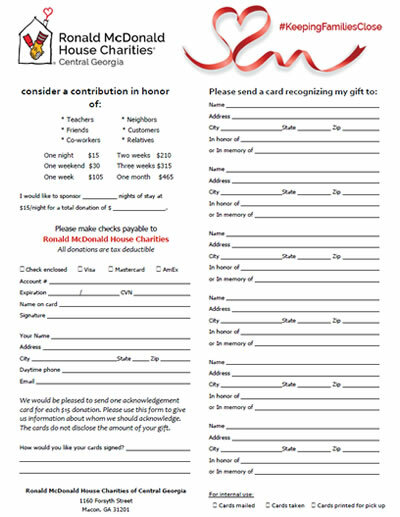 Each $15 donation directly defrays the expense of one night's lodging at the Ronald McDonald House of Central Georgia when you indicate your gift is for our Share-A-Night program. Although the actual cost of housing one family for one night is $165, we ask families for a small donation of $15 per night. Most families cannot afford even this small donation, but no one is turned away for inability to pay. You can use the form below, and we will send a notification of your gift (not disclosing the amount of the gift). You may also donate online by clicking the red DONATE button on this page. Please include notification information in the comment section. One August three year old Olivia Culpepper started looking a little pale. Her parents laughed when she mimicked her grandparents saying, "Oh, my backache" once in a while. By September, her lips and the soles of her feet were colorless; she had night sweats; she was restless. One Saturday afternoon her mother heard a soft cough. When the doctor said 'leukemia', her parents had no idea that meant 'cancer'. 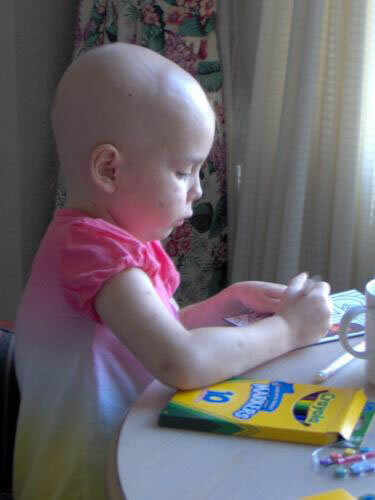 Olivia's battle included many nights in hospitals in Macon, Atlanta and Texas. When her struggle took her to The Children's Hospital, Navicent Health, her parents found refuge at the Ronald McDonald House of Central Georgia. Her mother writes that RMHC was where her family 'found refuge during the many hard days and long nights. It was here where we celebrated our birthdays, Halloween and Thanksgiving holidays. And it was around your table that our family gathered right after Olivia passed away. And even afterwards, we have been comforted by your folks'.